Manicure Tuesday!! 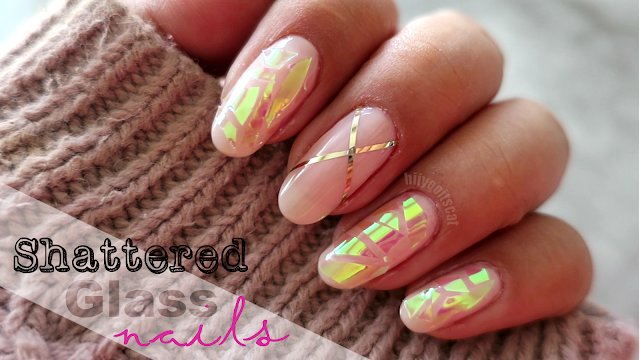 I know i know i keep changing the name haha.. Im still trying to figure out a good title for "Nail Tuesdays".. This week is very similar to last week's except it is a different color, glitter and stamping! I have been wanting to use this color (Essie: Van d'go) ever since I received it in the mail a few weeks ago. 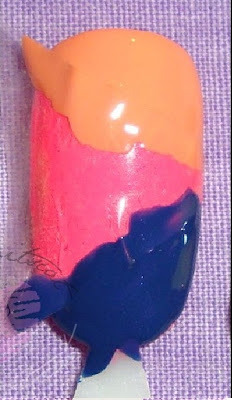 This is such a pretty salmon/peachy pink polish.. it's a must have in your collection!.. I don't know why I waited so long to pick this up for myself. Also if you haven't tried stamping you should!!.. I love it.. the only thing about it is.. You get addicted and buy a bunch of plates and then can't decide what image to choose from! lol..
*Please read on for product detail. Start with your base color.. I had one peice of tape and cut it into a triangle shape, then placed it on my nail. I like to take the tape off right after I apply the polish instead of waiting for it to dry because if I wait for it to dry there might be a chance that the 2nd polish will peel off when I take off the tape. 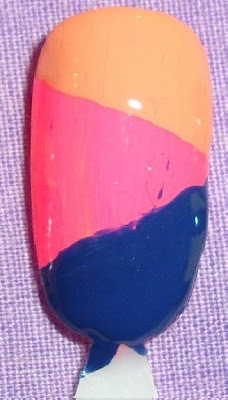 I hope you guys enjoy this nail of the week as well as the tape design. I don't know what it is about me with pink, peach and gold.. I just think gold goes well with peachy, pink tones. Also I wanted to ask, Would you guys like me to do a post on a few companies that sell the plates as well as the stamper and scraper besides konad? because i know that they can be pricey. I will see you guys in tomorrow's Make Me Up Wednesday post. Ciao ciao for now.